For LGBTQ+ models, life in fashion can still be very difficult. With the founding of queer-only agencies like New York-based New Pandemics, things are slowly getting better, but across the rest of America and the world, there is still a long way to go. 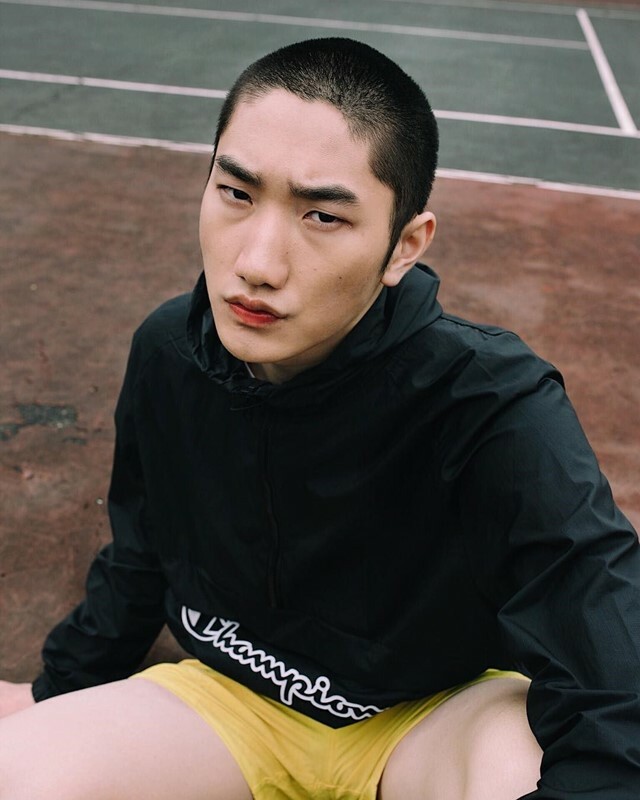 One model speaking out on the persistent discrimination in the business is Chicago-based model, Chufue Yang. After being signed to Ford in 2016, Yang hoped he would be able to use the platform as a way to become a visible role model for others, and also to come to terms with his own gay and Asian identity. After a slew of problems, and one case of being labelled as Mongolian in an article about him (he’s Hmong), Yang tried to take matters into his own hands and published an Instagram post with his complaints. He explains that he was advised by his agent to take it down, and that the relationship was never the same again. This was the beginning of events that led to him and the agency parting ways. “To be honest, this whole experience seemed like it was a test run and I was the guinea pig,” he explains. “Sign on a cool, ethnic-looking person, try to push them out, and if that doesn’t work, drop them. Here, we speak to Yang about the problems he faced as a model and what can be done to change things for the better. How did you first get into modelling? What was your experience like? Chufue Yang: My first time modelling was a very surreal experience. It wasn’t an option until I was assisting on an editorial shoot for a Chicago-based magazine. During one of the sets, the stylist came over to me and asked if I could wear something she brought. I did a set with the photographer and the editor really liked the photos and published them in the first issue. That’s where it all began. When I was modelling, I never really felt 100 per cent comfortable on certain sets. I always felt like I had to portray a certain version of myself in order to be liked or that I had to overcompensate in some instances because I didn’t fit the cookie cutter mould of a ‘model’. The 6’2, straight, super buff, super masc and white type of model that most of these companies are used to working with. What kind of difficulties did you face as a QPOC model? Chufue Yang: My agency not only changed my height (on my comp card), but my ethnicity was erased in certain instances. What I’ve also learnt is that some narratives are changed by others within the industry to make them seem more interesting or ‘marketable’. I was also lucky enough to be featured on models.com a couple weeks after getting signed and the editor of the New Face division assumed my ethnic origin completely. The title to my feature was ‘Minnesota via Mongolia’. Although it could’ve been a simple mistake, being misidentified ethnically is something that not only me, but a lot of Asian Americans experience daily. I made an Instagram post expressing those feelings and when my agent saw it, they wanted me to take it down because they didn’t want to ruin the relationship they had with models.com. This was the first time that my voice was silenced after being signed and unfortunately, I gave in. Did your agency support you through this? Chufue Yang: I never expressed these feelings to my previous agency because I don’t think they would’ve fully grasped my point of view. I’m the first QPOC that they’ve ever signed onto their men’s board and instead of marketing me for me, I felt like they wanted me to fit me into a mould. Ultimately, the blame isn’t on my previous agents or my previous agency, but on the industry and myself for not having a stronger stance on my values, voice, and identity. We all learn from our mistakes though. Why do you think you were dropped by the agency? Chufue Yang: After the whole models.com incident, things started to get rocky. They would send me to a few castings here and there, but Chicago clients just aren’t looking for people that look like me. It seems as though my height, mono-lids, and black hair didn’t make the cut, because the emails about jobs started to decrease throughout my time being signed. Not getting booked for things definitely started to take a toll on how I viewed my self-worth. This was a very hard time for me mentally and emotionally. I deactivated all my social media and needed to disassociate myself from modelling because I felt as if I didn’t have control over my body anymore. It got to the point where I just shaved my head and dyed it a different colour without telling my agents. I think my agents probably felt that I wasn’t committed to my career anymore which wasn’t the case at all. How do you think the modelling industry can be improved for minority models? Chufue Yang: Don’t be afraid to use your voice – it’s the most powerful thing you have. Learn to pick and choose your battles though, some situations aren’t worth your energy. We should also give our attention to platforms on Instagram like @moremodelsofcolor. They do a great job of representing underrepresented models that are in the industry and calling out unjust castings when needed. What advice would you give to other models who find themselves in your position? Chufue Yang: Don’t let yourself feel like you’re just another model. Everyone has so much potential, but the cool thing is, that greatness is different for everyone. Find that and apply it to your career. Chufue Yang: My focus has shifted to my education full time, but I hope to model again in the future. Being a model, for me, is just a stepping stone to a bigger platform. At the end of the day, I want to travel the world, educate, inform and connect.